Browse: Home / The 2016 Pelham Library Annual Report: Your Library in Action! The 2016 Pelham Library Annual Report: Your Library in Action! Every year, the Pelham Library — and each of the other 38 member libraries in the Westchester Library System (WLS) — file an annual report with the New York State Department of Education. Like all annual reports, it gives the initial impression of just being rows and rows of numbers, but those numbers actually tell a story of a dynamic place that is about so much more than borrowing books. They describe a place where programs are held for all ages, people come to access the Internet, borrow materials, and ask the Library staff for assistance; Pelhamites placed more than 10,000 such requests during 2016. In this digital age, they also increasingly use the Library virtually, by using its many e-resources. Circulation: Last year, Library transactions totaled 98,870, encompassing the use of print materials, electronic media and downloaded files. Patrons borrowed 19,544 items via the IntraLibrary Loan Program, and 12,277 items from Pelham were loaned and checked out to patrons at one of the other WLS libraries and elsewhere. The Library ended the year with a total of 33,296 print materials in circulation. That number ebbs and flows, as new materials are added to the collection and others retired. This is in keeping with one of the favorite quotes of Library Director Patricia Perito — “The library is a growing organism” — by the famed Indian mathematician and librarian S.R. Ranganathan. As the amount of money in the collection budget decreased a bit over 2015, the number of electronic materials has gone up. From 2015 to 2016, the number of eBooks that are part of the Library’s collection has risen to 17,103 from 12,116, and the number of downloadable audio books increased from 12,324 from 11,527. These numbers reflect a 20 percent increase in their usage to 4,893 in 2016, up from 4,082 items in 2015. For the second consecutive year, the Library purchased eBooks in Overdrive Advantage, supplementing Overdrive materials already provided by the WLS’s member libraries shared collection. Computers: Patrons logged 8,330 Internet sessions on the Library’s seven computers, compared with 8,057 in 2015. In conjunction with the WLS, the Library upgraded its wireless capabilities, including installing an additional access point. Wireless usage continued a steady climb upward to 11,563 sessions in 2016. That number is a jump from the 10,710 sessions in 2015. Hours and Access: In 2016, the Library was open for 2,139 hours. 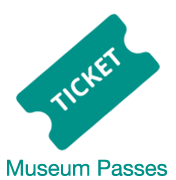 It is open a minimum of 40 hours per week in the summertime, and 43 hours per week otherwise. A total of 133 school-aged children participated in the 2016 Summer Reading Program, up from 108 the year before. The Library is now gearing up for its 2017 Summer Reading Challenge, with the theme “Build a Better World.” Thanks to volunteers, the Library also introduced a new, ongoing program: Chinese-English Story Time, and resumed Spanish-English Story Time. Registered Users and Visitors: The Library had 5,766 cardholders at year-end 2016, with 602 being added during the year. If you do not have a library card, getting one is free and easy. 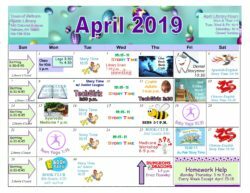 For more information, go to: pelhamlibrary.org > Using > Get a Library Card. There were over 85,000 visits to the Library last year. 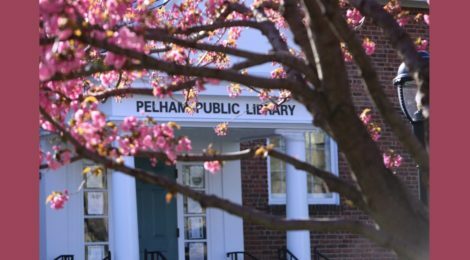 Operating Expenses: As a municipal public library, the Pelham Library is funded primarily by local taxes collected by the Town of Pelham. The allocation from the Town in 2016, of $584,710, accounts for approximately 87 percent of its operating budget but 81 percent of total disbursements. Additionally, the Library received $3,236 in Local Library Services Aid and $1,000 in other grants. It also received $87,714 in gifts and endowments, which includes the contributions from the Friends, which funds about ten percent of the budget. Library fees of $21,464 help offset how much money the Town has to allocate. Staffing: The Library has a total of 9.17 full-time equivalent positions (FTEs), including three certified librarians and other staff. (One FTE equals a 35-hour per week position.) New staff included Adam Marciano and Jilsana Bakry. Trustees: The Trustees as of January 1, 2017 are Margaret Young, President; Terrence Mullen, Vice President; Jennifer DeLeonardo, Secretary; Sandy Angevine, Margaret Breuninger, Catherine Campbell, Laura Woods DiLorenzo, Karen Fellner, Samantha Hinton, Carl Pannuti and Everett Potter. Mullen, who became a trustee in 2015, began serving as Vice President last October. Stevenson Swanson retired as a Trustee in 2016 and Potter was elected for a second term. The Library thanks all of its Trustees – and Town Liaison, Councilman Dan McLaughlin — for their service. Other Highlights: The Library completed projects to the building exterior and grounds. These included installation of new in-ground lighting of the flag and corner sign, a new entrance sign and new lamp poles along the brick walk, along with exterior painting and carpentry repairs. These projects were completed with a New York State Library construction grant of $24,384. Tree pruning was also completed. In 2017, through a grant of over $12,000, the Library plans on installing an automatic door at the Carol Place entrance and refurbishing its ramp, providing better access for disabled patrons. The Library also increased its outreach to local schools in 2016. Children’s Services Librarian Lilly Hecker manages book clubs for 5th grade girls at both Hutchinson and Colonial Schools, and added a 5th grade club for boys at Colonial. The Library staff looks forward to seeing you at the Library, and is always available to help you find what you’re looking for, in person or by phone! I read this article and found it very interesting, thought it might be something for you. The article is called The 2016 Pelham Library Annual Report: Your Library in Action!and is located athttps://www.pelhamlibrary.org/blog/2016-pelham-library-annual-report-library-action/8016.